BBX New Zealand recently advertised for a General Manager. Funny! Seek should withdraw the advertisement. I wonder if they will now that I have reported it? Just for the record, the moment I get evidence that any new person in the potential role knowingly promotes this BBX fraud, I will do as I promised I would – prosecute, charging them under s 240 of the Crimes Act. BBX is a Global leader in the alternative currency market supporting 85,000 business accounts in 13 countries. BBX is the most progressive business tool that can be offered to business owners offering interest free credit lines, Guaranteed new sales and international trade. BBX is currently seeking professional for aggressive NZ business expansion plans. BBX, requires a mature achiever to recruit new corporate members,manage and develop the BBX Ambassadors program. This is a corporate management position involving B2B approach. The General Manager role is expected to plan, organise, direct, control and review day-to-day operations and major functions of BBX New Zealand through Licensee’s & subordinate executives to achieve the overall success and profitability of the business.The applicant will be self motivated with management and sales development skills. Leadership – a person with the leadership, energy, maturity and judgement to drive the business. A person who has a ‘holistic’ approach and an open but professional style. Business Productivity and Quality – a good understanding of business processes and the key elements affecting productivity and quality. Relationship Development – a person with excellent communication (verbal and written) and listening skills who can build effective and good quality relationships with BBX account holders, at all levels. Market Development – a person with good ability to develop and achieve effective and growth oriented strategies. Reputation – a proven reputation for integrity, consistency and quality relationships. Enthusiasm / Persistence – the enthusiasm, commitment, persistence and dependability to achieve results through others in a “firm but fair” manner. Resilience – the resilience and measure to positively work through difficult issues- recognising the need to address business issues in a fair way. Positive approach to change (essential). The successful applicant will have a proven background in sales and management skills that will lead to expansion of the BBX market. If you think you have what it takes, please apply via seek with your CV and covering letter. A position description is available on request by emailing oliviachung@bbxworld.com Applications without a cover letter will not be accepted. All total nonsense of course, obvious to anyone who has read The BBX Investigation. Potential applicants and employment agencies who do the simplest of online searches for BBX will have found this website and I can assure that people ARE and HAVE already worked it all out. Only fools and losers would entertain this dead and dying BBX nonsense, now. Thank you for reporting an ad on SEEK. We will investigate your report as a matter of urgency. If you wish to speak to a Customer Service representative please call 1300 658 700. Should we require further information or action from you we will be in touch via your supplied email address. Many capacity exchanges don’t last. [They collapse] through loss of trust, often in clouds of scandal. There is nothing anyone can do any more in NZ. 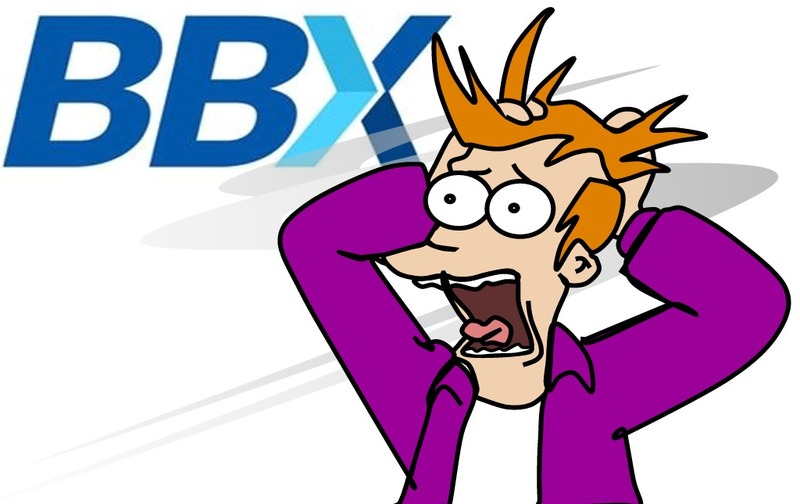 Any CEO will do a search on BBX and find The BBX Investigation. History! If they don’t and take the job then the first call they make to one of my mystery shopper members attempting to sell the BBX currency on par with the NZD, then next time I’m in Auckland I’ll slap them with notice of intention to undertake a Private Prosecution if they proceed with their deception. Why do you think the previous guy left? BBX NZ is no more. Thank you for noting that the remuneration is entry-level though.